In today's English lesson for B2 upper-intermediate and C1 Advanced learners in how to use the words Hardly, Scarcely, Barely in English. The three words have very similar meanings and we can use them almost interchangeably. So let's look at how we use them. Hardly means the same as almost not, only just and certainly not. For example, if you say 'We hardly ever go to the cinema these days' it means that we almost never go to the cinema. If you say 'What's wrong with your hand? You can hardly hold your fork' you mean that the other person can only just hold his or her fork in their hand. Most likely because they have an injury. The sentence 'Ronaldo is a good soccer player but I'd hardly say he's the best of all time' means that certainly do not think that he's is the greatest player of all time. This last example is the most advanced use of Hardly. Scarcely also means almost not, only just and certainly not. She was scarcely able to walk after she had her baby. We had scarcely arrived at the cinema when the film started. Sacking the coach was scarcely the best decision to take. As you can see, the examples above are very similar to the examples with 'hardly'. In face, you can substitute 'scarcely' for 'hardly' in all of the above examples. Barely means almost not, or only just. We don't use it to mean certainly not. My salary is barely enough to make ends meet. He spoke in such a low voice that I could barely hear what he was saying. We had barely left home when the car broke down. So that's how we use Hardly, Scarcely, Barely in English. Don't forget that one of the best ways to practice these words is by using them in a sentence. Here's another lesson that you may also like. 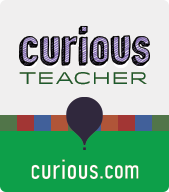 Many of my lessons are also available on curious.com. Check them out. Please consider sharing this lesson with your friends. If this lesson helped you, please consider supporting me by donating to my PayPal on the right. Thanks for finally talking about >Hardly, Scarcely, Barely | Your English Web <Loved it!